Matches at Big Brothers Big Sisters of Tampa Bay enjoyed a day of fishing and fun in the sun. 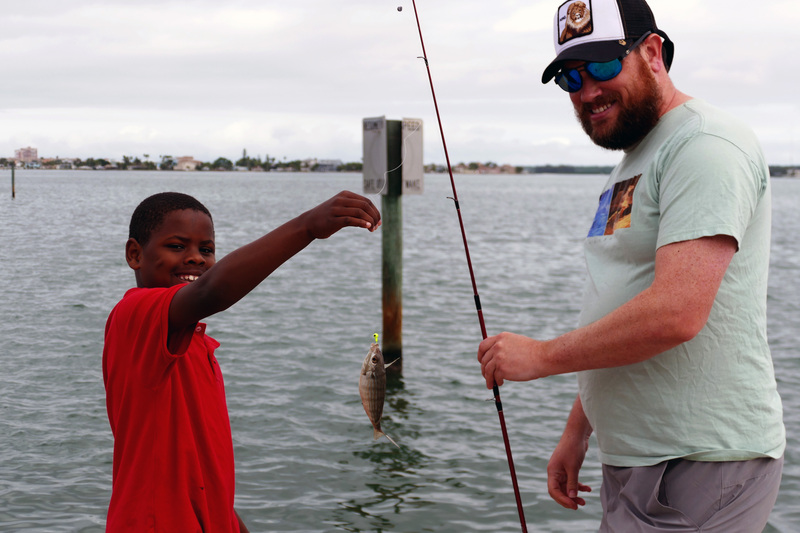 Bigs and Littles from Big Brothers Big Sisters of Tampa Bay recently enjoyed a fishing clinic hosted by the Old Salt Fishing Foundation and the Rotary Club of the Gulf Beaches. Matches had the opportunity to learn more about casting a line and baiting a hook. Then they were able to fish on their own. A few were lucky enough to catch some small fish, but most matches just enjoyed spending the day together at ROC Park at Madeira Beach. Afterward, matches were invited to the Spring Break Festival & Carnival hosted annually by the Rotary Club of the Gulf Beaches. The organization donated free wrist bands for Littles who had attended the fishing clinic. Special thanks to Big Mitchell Shenkman for helping make this match event possible!